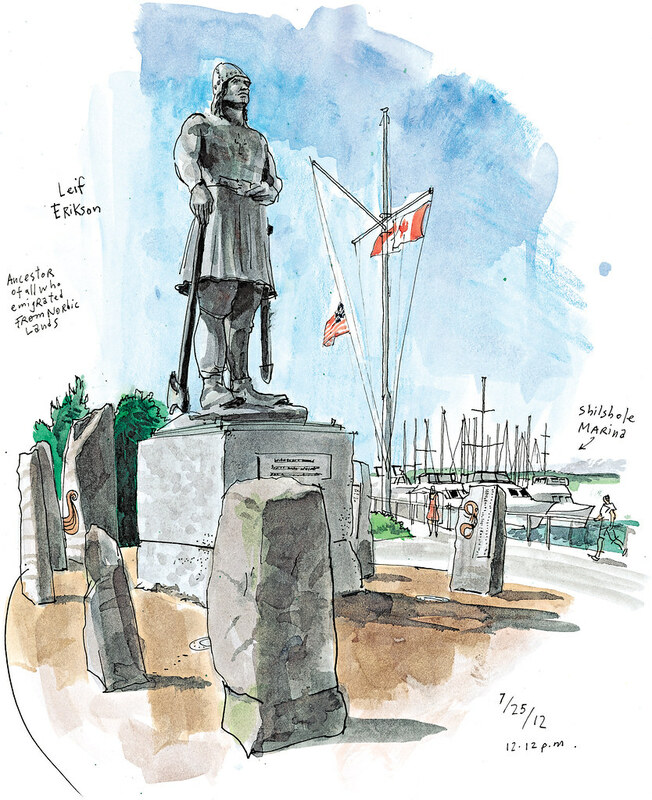 The Leif Erikson statue at Shilshole Marina turned 50 this summer. A gift from local Scandinavians, the 17-foot scultpture of the Viking explorer had a rough start. Deemed “unexciting” by some city art officials, the monument wouldn’t be here today if the Port of Seattle hadn’t accepted it. Kristine Leander, of the Leif Erikson International Foundation (LEIF), agrees that the statue looks a bit like “a football player with a Viking helmet.” But its artistic value is not the point. Leif’s statue has been part of a new plaza at the marina since its rededication in 2007. Surrounding stones display the names of more than 1,700 Scandinavian immigrants and benches invite a moment of contemplation. Leander said it’s become almost a spiritual place. Then I was probably too distracted by all the Christmas lights to notice a lesser-known landmark: Shilly the Sea Monster. 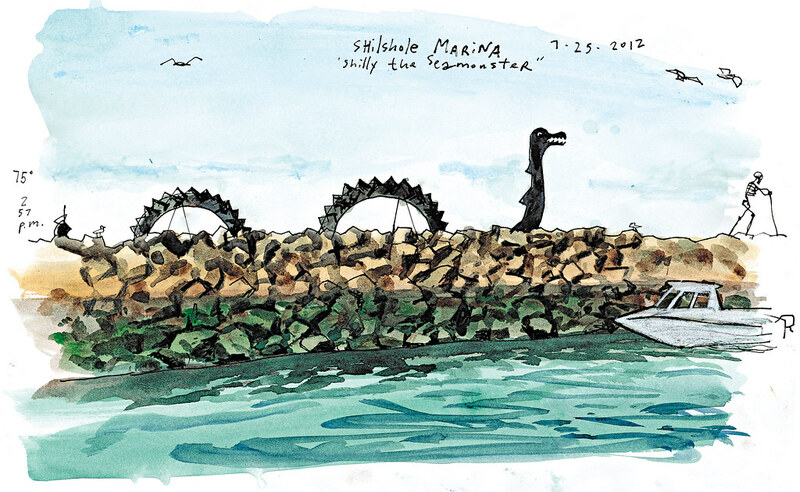 Its head and snake-like body rise above the breakwater barrier surrounding the marina. Port media officer Peter McGraw said in an email that the skeleton walking ahead of Shilly represents the monster’s guardian.